There’s a brief moment in the new version of “Rhythm-A-Ning” by Ben Riley’s Monk Legacy Septet where a descending line begins with Bruce Williams’ alto saxophone, is handed off to Wayne Escoffery’s tenor sax and is finished off by Jay Brandford’s baritone. It’s as if Williams were acting as the pinkie and ring fingers on Thelonious Monk’s right hand, Escoffery as the middle and index fingers and Brandford as the thumb. Meanwhile, Riley himself seems to employ the cymbals as Monk’s left thumb, the snare as Monk’s left index finger and the toms and kick drum as the other fingers. It’s a revealing demonstration of the way Monk’s 10 digits acted as independent musicians, each one giving a different weight, different color and different rhythmic placement to its note within a chord or melodic line. Memories of T, the new album by Riley’s septet, is an unusual Monk tribute because there’s no piano on the recording. But, in a sense, the seven musicians are performing as if they were a single piano player. Trumpeter Don Sickler, who did all the arrangements for this project, is too smart to apply that concept literally to every measure on the disc. Much of the time Riley plays like a drummer and one horn player or the other plays a conventional solo. But in those passages where the band impersonates Monk, the seven musicians exaggerate the differences between his 10 fingers and allow us to hear each one’s contribution as we never could before. What we hear is the moment of choice between one note and the next. As soon as one note is played, there are a thousand choices about what the next note should be, when it should appear and how it should be delivered. It’s easy to make a pleasing choice (listen to any conventional pop album) and it’s easy to make a surprising choice (listen to any typical free-jazz album) but it’s very hard to choose something that’s both pleasing and surprising, and no one made that choice more often than Monk. That decision can be discerned when both notes are played by the piano, but it’s even clearer when the first note is played by an alto sax or guitar and the second by a tenor sax or trumpet. Memories of T was released Oct. 31-42 years to the day after the Thelonious Monk Quartet recorded the first of two nights at the It Club in Los Angeles. (Those performances can be heard in full on Legacy’s 1998 reissue Live at the It Club-Complete.) Riley and bassist Larry Gales were relatively new additions to the group (joining longtime saxophonist Charlie Rouse) but they had already coalesced into a cohesive unit, acting as willing executors of Monk’s rhythmic intentions. Six of the 11 tunes on Memories of T come from the It Club sessions and the spirit of the new album stems from that mid-’60s era of Monk’s music. 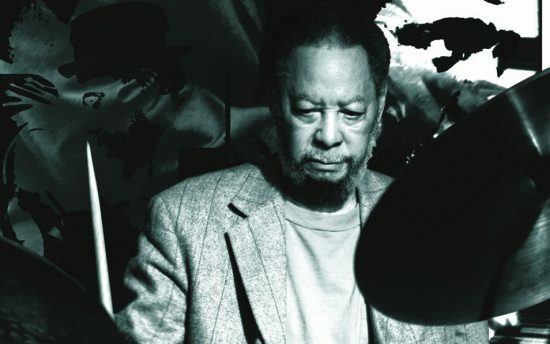 Riley spent only three of his 50 years as a professional musician with Monk, but that 1964-67 stint is what he’s best known for and what he continues to explore. Riley and Sickler (who never played with Monk but did spend most of the ’90s with the icon’s son, T.S. Monk) have co-led various Monk-tribute ensembles since 1986. But it was this septet with guitar and no piano that offered the most distinctive approach and yielded the freshest insights to this much-recycled music. “Gallop’s Gallop,” for example, opens with guitarist Freddie Bryant darting through an arpeggio as if Monk’s right-hand fingers were rolling over the keys. The alto sax, tenor sax and trumpet then each take a crack at a similar arpeggio, emphasizing by their different timbres how each alteration in Monk’s phrasing could produce a different effect. Meanwhile, Bryant has already joined Riley, Brandford and bassist Peter Washington in the rhythmic chording that is never content to merely support the melody but continually pushes and pulls at it. In many jazz compositions, you can get away with ditching the melody and playing over the changes: not in Monk’s, however, where much of the drama is in the tug-of-war between the two. That has never been clearer than when Riley’s septet tackles two of Monk’s best-known compositions, “Straight, No Chaser” and “Bemsha Swing.” The guitar and four horns constantly jump back and forth between the tune and the percussive, syncopated harmony, illustrating how one is dependant on the other. Memories of T is no substitute, of course, for Monk’s own recordings, but because the seven moving parts on each tune have distinct tonalities, you can observe the inner clockwork of Monk’s music as never before.